A few months ago, the Stellar Four ladies discussed making a Darth Vadar tutu apron. I originally accepted the challenge of creating said tutu apron but had second thoughts because — and since this is a safe place, I feel comfortable saying this — I’m not really into Star Wars. I never thought it was completely awful … it just isn’t my cup of tea. So what is in my teacup? Battlestar Galactica. 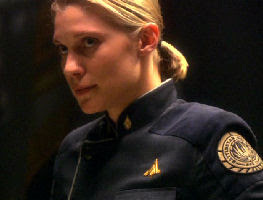 Hence, I switched my focus: I was going to turn Starbuck’s uniform into an apron. My mom taught me to sew when I was 8 or so and, while I’m no expert, I’m pretty good. I feel like sewing is empowerment. It gives me the power to create. I don’t have to rely on patterns. I can think far outside of the box. 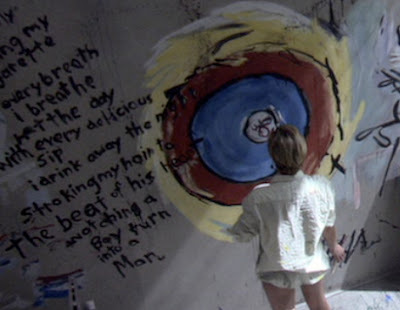 I can strive to create everything I see. Halloween as a St. Pauli girl? Why not. A quilt of t-shirts from high school? Nailed it. An outfit appropriate for the bedroom only? I, uh, wouldn’t know anything about that. 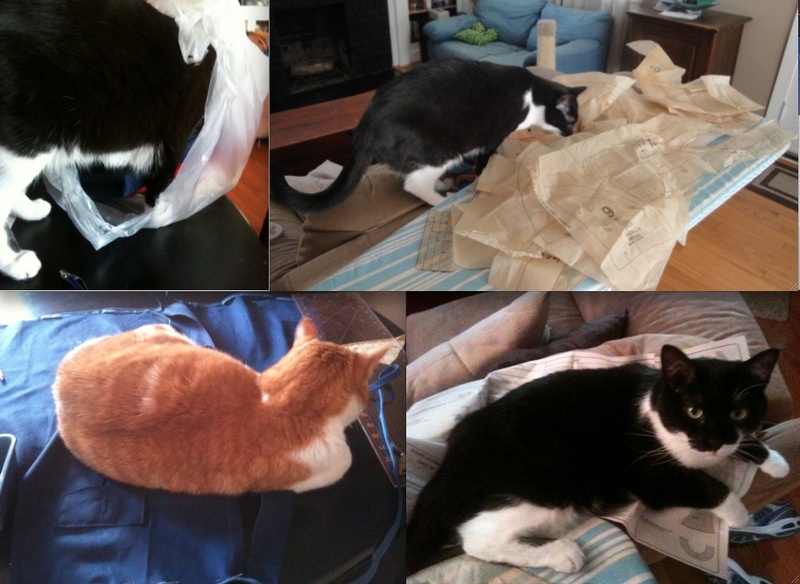 But seriously, isn’t it wild to take these flat things…. … and turn them into something incredibly functional? So here we go! 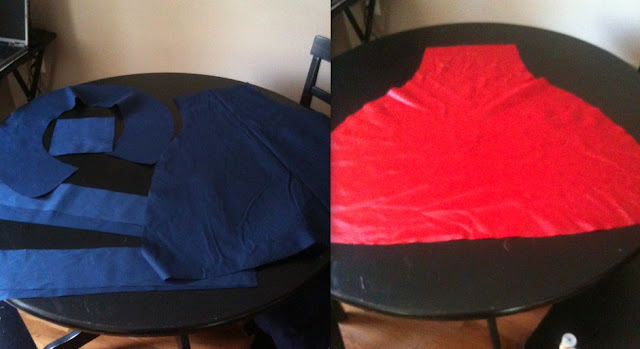 I already had a pattern for an apron from a previous project, so after buying the materials, I cut out the pieces. …including the red lining (based on Number 6’s kickass dress through the series). In general, I wore pants during the project. No making fun of my ancient TiVo remote. Roll! Roll like the wind! Starbuck would have wanted me to drink a little. Here is my apron in all its glory! So, humble readers, what do you think? 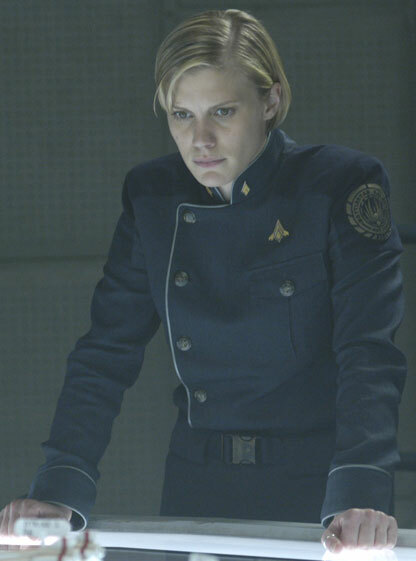 Is this a successful adaptation of Starbuck’s uniform? Should I have tried for the Darth Vadar tutu apron instead? And what other iconic sci-fi or fantasy garb would you like to see turned into kitchen wear? Maybe some Buffy-inspired kitchen tools. The cutlery collection would have promise. Maybe silverware with stakes on the end. Multi-purpose. Thanks Meg and Stella! It was ~just~ enough labor that I don't foresee selling any on Etsy any time soon. Oh Kathy, a Browncoat apron would be divine....I'll have to think about the creation of that one (since the coat opens exactly where the apron would cover).